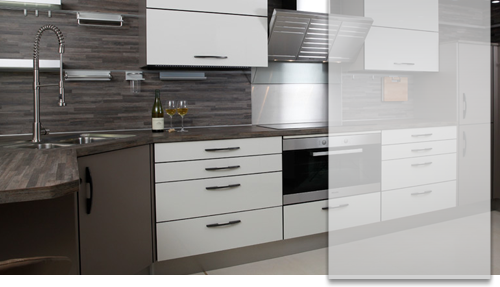 A family run business established in 1947, we have a fantastic reputation for creating bespoke kitchens in Cambridge. Here at Woollards of Mildenhall we have over 65 years’ experience in expert design, product selection and taking care of our clients and are renowned for our fresh and innovative approach to creating stunning solutions for your home. With style and accessibility in mind, we will work closely with you to design a stunning kitchen that combines your ideas and needs with first class functionality, customising kitchens to your individual requirements. Showcasing some of our most popular designs, our kitchen showroom has a whole host of kitchen displays allowing you to get a glimpse of the stunning styles and designs we can create for you. If you’re looking to redesign your space, a visit to our showroom is the perfect way to gain some inspiration. Our expert team are always on hand to discuss your requirements, offering honest and impartial advice on the styles and designs that would best suit your needs. We pride ourselves on our attention to detail and our unrivalled customer service, always going to extra mile for each and every client. We want you to be confident in the service we provide and we always ensure that our kitchens are finished to perfection, to your budget and within the agreed timescales. To find out more please don’t hesitate to get in touch with us on 01638 718 023.